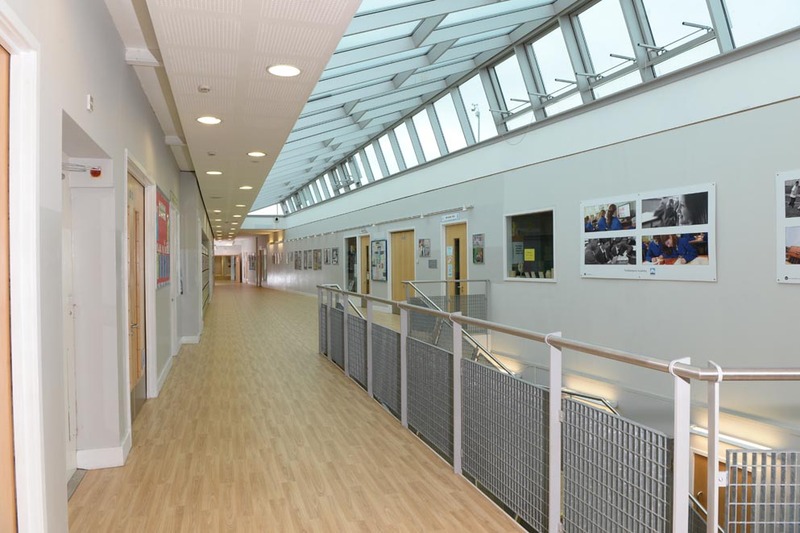 2500m² of acoustic flooring from UK-based commercial flooring manufacturer Polyflor was chosen to help improve the acoustic performance of Northampton Academy as part of the secondary school’s refurbishment project. 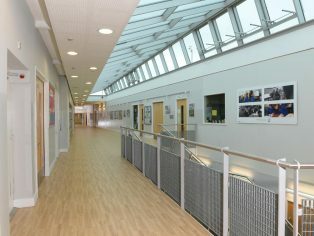 The classic, wood effect American Oak design from the Acoustix Forest fx PUR range was installed along corridors and staircases on multiple levels at Northampton Academy by local flooring contractor Absolute Coverings Ltd who are based in Silverstone, Northamptonshire. Suitable for demanding, high traffic commercial environments like large schools, this acoustic floorcovering produces an impact sound reduction level of 19dB, reducing the transfer of noise throughout this modern school building that accommodates approximately 1400 pupils. Available in 8 sophisticated and highly realistic wood effect designs, the hard wearing Acoustix Forest fx range features a closed-cell foam backing to provide its 19dB reduction in impact sound within interiors, that exceeds UK Building Regulation requirements of 17dB. This heterogeneous sheet vinyl floor covering also importantly features a polyurethane reinforcement (PUR) which provides enhanced protection and an easier life-long, polish-free maintenance regime, leading to overall maintenance cost savings. Polyflor’s Acoustix Forest fx flooring contains recycled material and is 100% recyclable via the Recofloor vinyl take back scheme. The collection has also achieved an individually certificated BRE Global A+ rating for education environments. Product samples can be ordered free of charge on the Polyflor website or by calling the Polyflor Samples Direct Hotline on 0161 767 2551. Polyflor also offers another three acoustic flooring ranges – Polysafe Wood fx Acoustix PUR, Acoustix Gallery fx PUR and Acoustifoam that can be fitted underneath any 2mm vinyl sheet flooring.